Janfrans van der Eerden is a Dutch architect with a keen interest in 20th century architecture in Kenya. 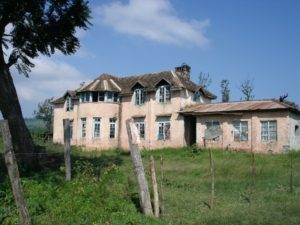 At present teaching classes at Jomo Kenyatta University of Agriculture and Technology, he travelled around Kenya for many years, looking for old houses and taking photos. He is trying to collect as much history as he can about these houses – location, old pictures, building drawings, builders and previous owners, as well as other stories. Old Africa will be using some of his photographs in upcoming issues of the magazine for our History Mystery Contest. Be sure to get your copy of the April-May issue of Old Africa and look at the amazing photos Van der Eerden has provided of a house near Elburgon. You have a chance at winning a gift certificate from Text Book Centre if you can identify the building. 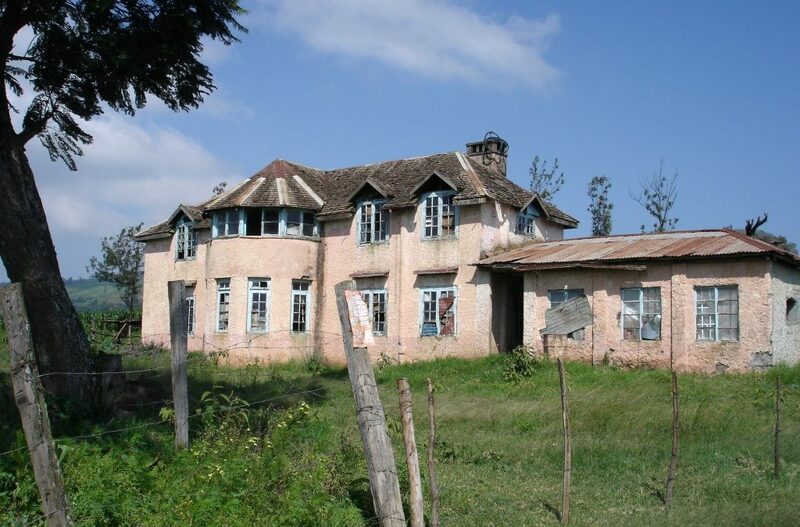 In addition we are looking for any photos, drawings and other details abaout the featured house, which Old Africa will pass on to Van der Eerden so they can be preserved for the future. Unfortunately, many of these old buildings are in poor repair and being demolished. An example is this pink house, pictured below, which van der Eerden photographed a few years ago near Menengai Crater at Maili Sita. The Happy Valley Heritage Trust, of which Van der Eerden is a trustee, is working to find ways to preserve some of the old buildings before they are lost forever. Sadly, the Maili Sita house no longer stands. We suggest you visit the Facebook page for the Happy Valley Heritage Trust by clicking on this link https://www.facebook.com/happyvalleytrust/posts/1570945222959434 to see photographic evidence of what happened to this old house, as well as photos and details of other historic buildings. And be sure to read the upcoming issues of Old Africa where Van der Eerden’s photographs will be featured in our History Mystery Contest. © Janfrans van der Eerden.